ISOC-CH supports this campaign and the planned demonstration. In light of revelations about the capabilities of foreign intelligence agencies to penetrate even the most secure servers, there should be no extensions of data retention periods. Any retained data is vulnerable to attacks by insiders and foreign intelligence agencies and can be used to target innocent citizens without their knowledge or consent. A full and in-depth discussion of mass surveillance, its dangers, and how to prevent it must take place before any revisions of BÜPF. 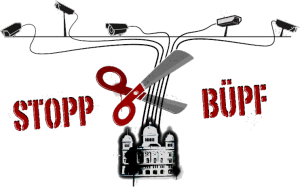 Thus, ISOC-CH supports the current campaign to stop approval of the planned revisions to BÜPF.